Pre-orders for Google's Daydream View VR headset are now live and you can pick one up for $79. It's available through the Google Online Store, but if you're in the US, it's also going on sale through Verizon or Carphone Warehouse if you're in the UK. It's expected to ship in 2-3 weeks, with Google officially listing a 10 November release date. So that's when you can expect it to land on your doorstep. If you need a reminder, Daydream View is the first VR headset to embrace Google's new Daydream VR platform. 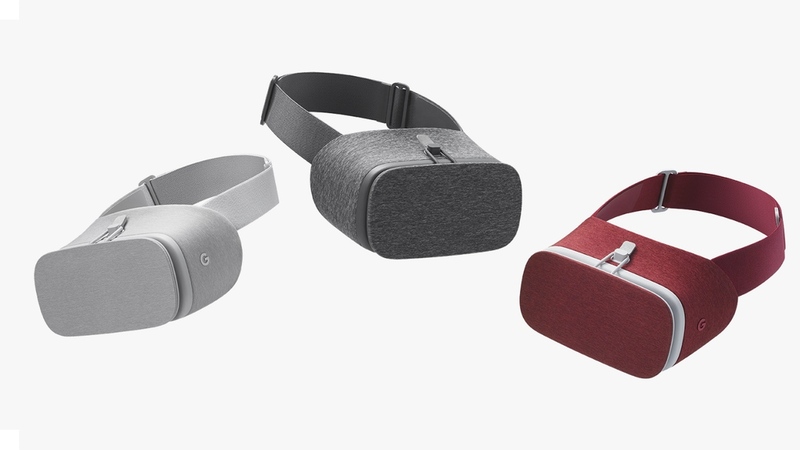 Similar to Samsung's Gear VR headset setup, it works with Google's new Pixel smartphone and comes in three different fabric finishes: Snow, Slate and Crimson. The View headset fits right over glasses so there's no need for diopter adjustments. Adding to that luxury, Google worked with clothing designers to create the cloth body for a more comfortable experience. There's also no plug and play - rather it's drop and play. A wireless connection between your mobile device talks to the headset allowing you to use it and an auto alignment system ensures everything is in place. While it's currently only compatible with Google's new Pixel phone, we're expecting compatible phones from Samsung, HTC, Sony at some point in the future. For controls, you'll use the Daydream controller that accompanies the headset which is included in package. With it, you can point, swing, aim and you even write you name in VR. You'll even be able to use it as a wand in an upcoming Harry Potter/Fantastic Beasts experience. To avoid losing it after use, it can be stored in the headset where it will live until the next time you want to jump into VR. In terms of apps and experiences, it's expected to be fully compatible with Google Street View and YouTube 360-degree videos with Netflix and HBO apps also set to be optimised for the headset. At $79, Daydream View is going to be cheaper than the Gear VR, and should build on the success of Google's Cardboard headset with more than 5 million of the viewers now shipped since its launch. Are you thinking of buying Daydream View? Let us know your thoughts in the comments below.